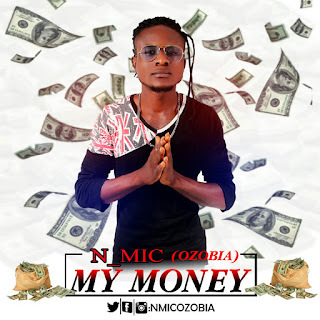 The R&B, Dance-hall Singer & Song writer " N_Mic " is here again with this sweet tune title: "MY MONEY". Song was written by N_mic ( Produced by Babariq ) mixed and mastered by @babariq_ . Blessed banger for the NEW YEAR. The fast raising Artist real names Micheal Nnamdi who hails from Imo State, began his music career at a tender age as a Songwriter. but officially started his music carrier professional in 2012. Not too long after he heated his fans with track titled: ” OPEN WAY ” which was a unique way of Hailing all the Dee Jays in Nigeria and across..